You’re finally getting that old roof replaced. But before we install your new roof, you’ll need to make some preparations. Planning everything will make the installation go more smoothly. We can help you through the entire process. We’ve provided a brief guide to help you get started. We can also sit down with you and go over every detail of the project so that you know exactly how the roof replacement will go. If your roof is more than a decade old, we may need to make some adjustments in how it looks and how it’s built. We can show you all the options that are available to you. The designing phase is the most critical part of the roof replacement. Once we help you create the vision for how your roof will look, it will make the rest of the project easier to complete. A roof replacement is the perfect opportunity to redesign the roof as you’ve always wanted it. To adequately prepare the roof for the new replacement, we may need to make some upgrades or adjustments to the roofing system. This part of the job includes replacing some studs in the framework, updating the ventilation, looking at new gutters and downspouts, and installing some new decking. At this point, you can also decide if you want the same type of roof covering such as asphalt shingles, or if you are thinking about a different kind of material such as metal, tile, or cedar. Whether your home is new or used, it likely falls under warranty. You’ll need to review the warranty to find out what (if anything) it will cover a new roof replacement. You’ll also want to inform your insurance company, to find out what adjustments they'll make in coverage. A new roof has benefits such as improved home value, structural integrity, and curb appeal. These qualities could reduce your insurance rates. The last thing we’ll do is go over the contract and all the paperwork before we begin construction. Intelligent Design will be responsible for ordering all supplies and providing all labor and equipment for the job. We will have it to deliver to the job site (your home), and be ready to go on launch date. Although the installation will happen quickly, the pre-installation period could take a few weeks. This phase will give us adequate time to make all the necessary arrangements. Roof replacement is a substantial investment in the value of your home. 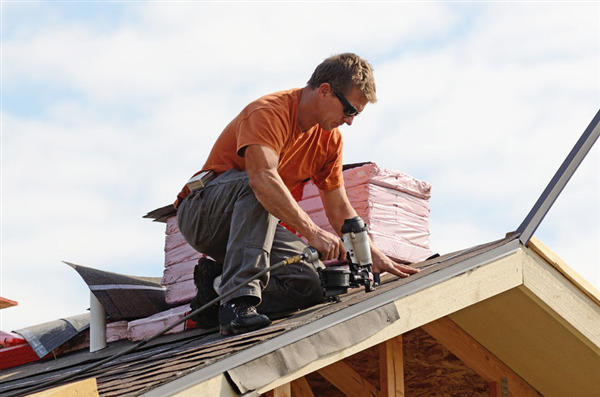 Therefore, our roofing contractors take great care in every aspect of the job. We utilize the highest quality materials in the industry and hire workers that are licensed and certified in residential roof construction. We stand behind our work and are dedicated to making you 100% satisfied when we complete the job. For a free estimate, contact us at 763-315-0745, or you can message us on our contact page. We provide residential roofing for homeowners in Minneapolis and St. Paul, Minnesota.